Superbowl Sunday is a great day in sports and is a time when many people get together and have a few beers and watch the game. Unfortunately, if you are headed out to celebrate at a bar or at a friend’s house, you will have to be careful about how you get home. Superbowl Sunday is also a day when many people make the dangerous choice to drink and drive, and this choice could be deadly. Our Boston drunk driving injury attorneys urge everyone to be smart on this upcoming Superbowl Sunday. 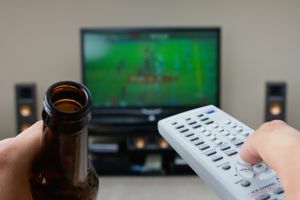 While you can certainly enjoy the game with a drink or two, you should have a plan in place to make sure that you do not get hurt on your way home. Having a beer (or a few) goes hand-in-hand with the Superbowl for many, and law enforcement is aware. In fact, efforts have been underway for years to try to curb the dangerous practice of drinking and driving on Superbowl Sunday. In 2008, for example, the Governors’ Highway Safety Association partnered with communities across the United States to launch a campaign called Fans Don’t Let Fans Drive Drunk. The initiative came after 130 people died during Superbowl weekend in 2006 and it involved both increasing the presence of law enforcement on the roads and stepping up public education on the dangers of drunk driving on Superbowl Sunday. Massachusetts’ law enforcement continues to be aware of the risks of drunk driving on the biggest football day of the year. Their response will include efforts to curb dangerous drivers and there are will be more police on the streets and more sobriety checkpoints set up. These efforts, hopefully, will help to ensure that no one is killed or seriously injured in a drunk driving crash. Having people over to watch the game. If you invite guests over, you can drink in a safe environment in your home and you won’t have to worry about driving after. Remember, though, that you are responsible for any guests that come to your home. This means if you have a party, you can’t let your friends leave if they’ve been drinking unless they have a designated driver. Planning for a designated driver prior to the game. If you are going to go be going to a bar or to a friend’s house to watch the football event, you should make sure that you have someone to drive you home. Be sure that there are plenty of non-alcoholic drinks available for the DD so that he or she has more incentive to stay sober. Taking a taxi home if you’ve had too much to drink. Sometimes, you may plan on just having a beer or two but things may get out of hand if your friends are drinking a lot or if your favorite team is losing. If you are going to drink anything at all, you should plan on taking a taxi if you don’t have a ride since it can be very hard to tell if you’ve had too much once you have already started drinking. By following these tips and by making a commitment to sober driving on Superbowl Sunday, you can enjoy the same without putting yourself or others at risk of a drunk driving crash.